Mario was asked to help promote the new Online Social Role Playing Game, Dragon Eternity from the company Game Insight. Here is a Promotional Vinyl toy from the Kid Robot Company. 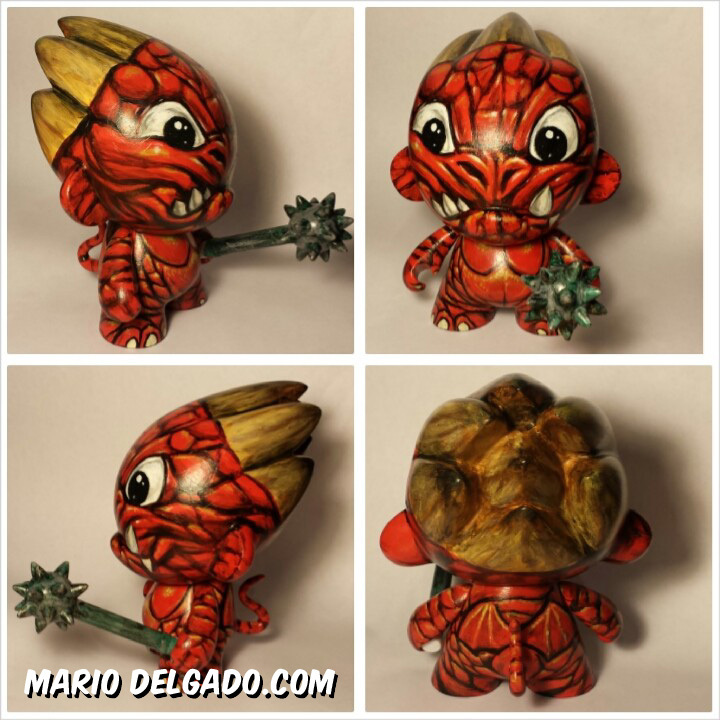 Mario was asked to decorate the figure to represent one of the dragons from their new game. Feel free to check out the game launching soon by game insight. The game is free to play and is available on Web, iPad, iPhone, Kindle, Facebook, and Android. Players can use one universal log-in to play their character across any of their devices and with players on any other platform.